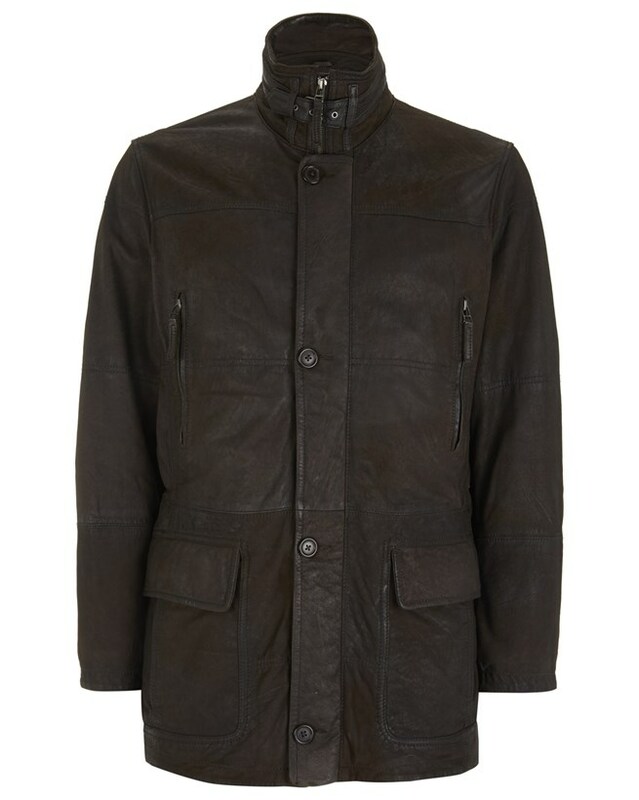 was: £295.00 now: £236.00 save 20% Please note that sale items may only be returned within 14 days of receipt. Please check carefully to ensure that your sale item is suitable. 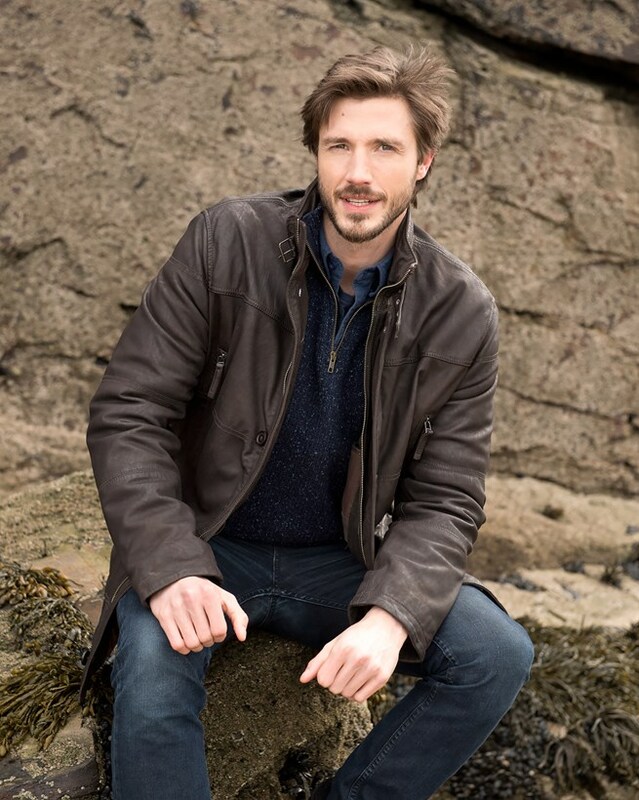 This classic leather coat is a timeless investment for any man’s wardrobe. It is made from waxed nubuck leather, for a shower-proof finish and utilitarian look and detailed with a stand-up, buckle collar, button front, and four handy pockets. Great value coat, bought for husband. Stylish cut and comfortable to wear. Leather soft yet has nice rugged quality. Fit is true to size, no need to buy bigger in my opinion. Collar is flattering and design of pockets is unfussy. Nice touch of windshield type pocket on outside of the large patch pockets. Drawstring inside waist means you can pull it in slightly if you wish. Looks great - this will be worn plenty! 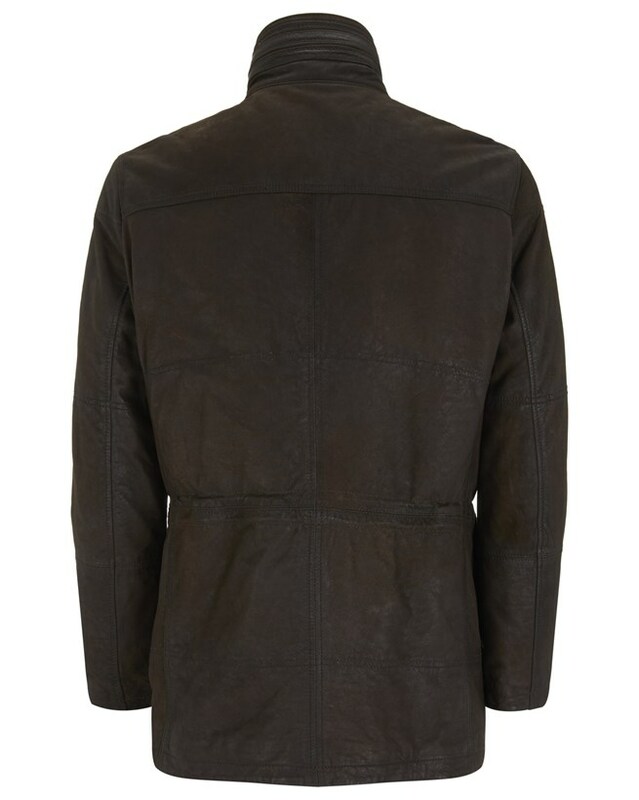 A fabulous well cut quality coat, good length and fit, soft and pliable leather.